In an age where technology has allowed for unprecedented access, more and more musicians are able to produce their music with as little equipment as a laptop and a pair of studio quality headphones. With this convenience, an efficiency in cost was a natural side effect. Thus, the budget for the use of a brick and mortar recording studio is not what it was. This Friday we feature a pillar in recording studios and an example of how even in an segment of the market that is on a steady decline, there exists a strategy upon which a studio can thrive. Currently perched above the High Line in the Chelsea neighborhood of Manhattan, Jungle City Studios is home to some of the most prestigious outfits in music. Let’s take a closer look at why the studio remains a success since its inception in 2012. 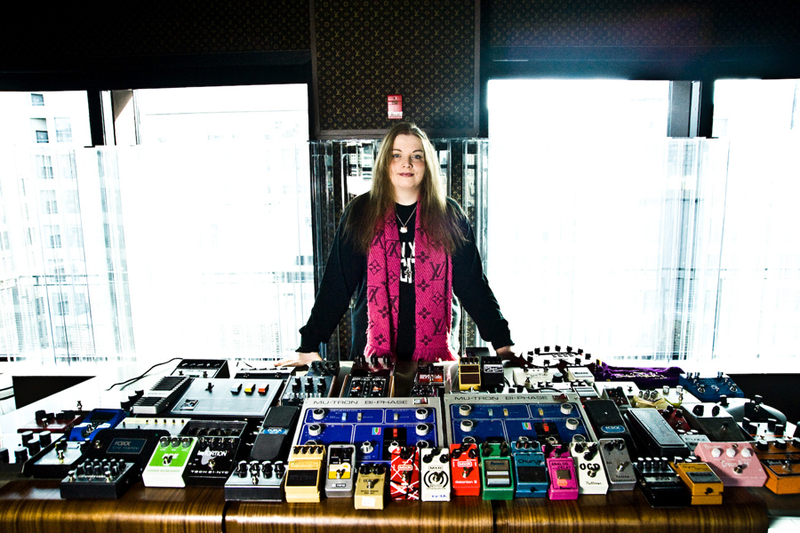 Jungle City Studios was founded by Ann Mincieli, a seasoned engineer who also happens to be among others, Alicia Keys’ engineer and studio right hand. The space was created with a simple concept: quality and comfort is not to be spared in anyway. With an original investment of $3.5 million for equipment and design alone, precision was met at every corner. So while the concept is simple, the equipment is far from it. Any producer or engineer would be challenged to ascertain even a fraction of the technology the studio holds. Even the doors are designed with special magnets that ensure a sound tight environment. With the help of John Storyk of the Walters-Storyk Design Group, Ann’s vision was transformed into a reality. John’s resume notes his beginnings in 1969 with Jimi Hendrix’s Electric Lady Studios. With a reputation that has since blossomed, he was a perfect candidate for the job. Described by record executives and other engineers as one of the most impressive new studios in New York in years, the space is made up of three recording rooms on the top two floors of an 11-story commercial building. Novel details like speakers floating within the control-room glass and Louis Vutton fabric lining the walls are reminders of the clientele that the environment caters to. 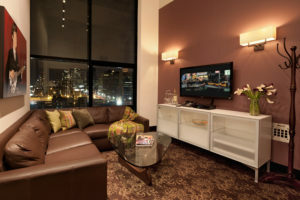 Where most studios lack the aesthetics Jungle City boasts Skyline views, a rooftop area, rooms with home-like amenities and much more to create an inviting and inspiring vibe. So how much did these aesthetics cost? In addition to the $3.5 million for the design, $5.3 million was needed to secure the real estate. With recording budgets today in many cases half of what they used to be, how can this be recouped? Let alone yield a profit? 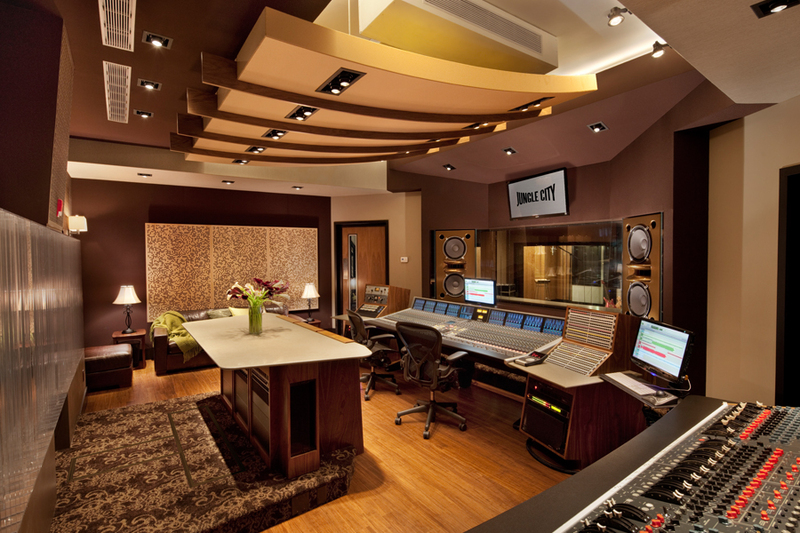 For starters, many New York studio operators say that so much of their former competition is gone, their rooms have stayed in demand. Yet, despite the elegance of it all, Jungle City’s existence is an anomaly among the prevailing wisdom that recording studios, especially within Manhattan, are going by the wayside with cheaper alternatives and shrinking budgets being the main culprits. 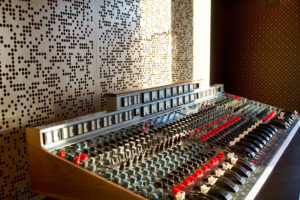 Some of the world’s most coveted rooms for recording are no more… Studios like the Hit Factory, the Record Plant and Sony Music Studios…vanished. For the remaining to survive, an adjustment would have to take place. Enveloping this into their model, you now see studios are leaner and more flexible. At the same time they have become more opulent, garnishing easy access to equipment and personalized service to a clientele that in the past was completing a studio project in three months, but that now takes two weeks. Over the years Ann Mincieli and Jungle City continue to set themselves apart. With clients ranging from Alicia Keys to Jay-Z and everyone in between, Ann has made it abundantly clear that quality does not need to be an afterthought, but a driving force in this niche market. To keep up to date with Jungle City head over to their website and socials below!